Senior executives at Qualcomm slammed Apple on Wednesday for lawsuits filed in the last week alleging the smartphone chip-maker significantly overcharged it for licensing fees. The spat saw cases filed last Friday in California and this week in Beijing and were top of mind when Qualcomm conducted an earnings call with analysts on Wednesday. For 15 minutes, Qualcomm executives criticized Apple’s moves, calling the two lawsuits “without merit” and accused the iPhone-maker of trying to use them as a way to reduce the royalties the iPhone maker pays to Qualcomm. “Apple has been actively driving regulatory attacks on Qualcomm’s business in jurisdictions around the world and misrepresenting facts and withholding information,”Qualcomm President Derek Aberle said. Apple claimed that Qualcomm retaliated because it cooperated with a South Korean government investigation that ultimately saw Qualcomm fined $854 million for unfair licensing practices. Qualcomm vowed to appeal the decision. Aberle said that Qualcomm did no such thing, and the company objected to Apple making false and misleading statements. “We will prove that Apple’s irresponsible claims of extortion are false,” Aberle said. Apple has generated billions in profits thanks to intellectual property from Qualcomm, CEO Mollenkopf said. Qualcomm has spent billions of dollars developing mobile technologies for over three decades, and wants to be fairly compensated for the inventions shared through licensing. “Our preference is to always resolve customer disputes through negotiation instead of litigation. So it is regrettable Apple has chosen to take this path,” Mollenkopf said. 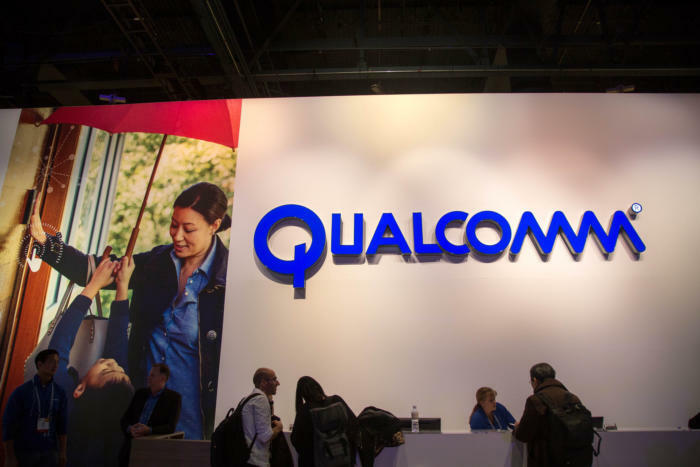 The value of Qualcomm’s IP was established long time ago, and the patent portfolio is actually going up in value as the mobile industry moves towards 5G, Mollenkopf said. “Yet, we have never raised our royalty rates,” Mollenkopf said. In the California lawsuit, Apple is seeking $1 billion in compensation for excessive royalties paid. Apple said in its filing that Qualcomm should charge royalties based on the price of the baseband chip in the mobile device, and not a portfolio of technologies. Aberle said that was inconceivable, and not in line with how chip technologies have been licensed for decades. Licensing at the component level is inefficient, and a device or modem chip maker would still need to take out licenses for other Qualcomm technologies in smartphones. Besides modems, Qualcomm has an huge arsenal of intellectual property that also covers technologies like real-time tracking and mapping, which forms the basis for companies like Uber. The excess royalties in dispute are paid to Qualcomm by contract manufacturers like Foxconn, which assemble the iPad and iPhone, and not directly by Apple. “We hope Apple wouldn’t interfere with those contracts,” Aberle said.